Ahead of ‘Lucifer’ release, the actor speaks to TNM about working with Prithviraj, learning Tamil earlier than Malayalam, and her upcoming film with Dhanush. Not many are aware that Malayalam cinema’s beloved star Manju Warrier was born in Nagercoil and knows Tamil just as well as Malayalam. The actor was 10 years old when she moved to Kerala along with her family. “My father was working there when my elder brother and I were born. We moved to Kerala when I was about 10,” she says. A mere seven years later, at the age of 17, Manju would go on to make her film debut in Sakshyam. More than two decades have passed since then and Manju is awaiting the release of Lucifer, in which she stars with Mohanlal and a host of other actors. The film marks Prithviraj’s debut directorial and will see a massive worldwide release. “It’s very difficult to explain my role in the film. It’s hard to say this is the character because it has all shades, all layers of that of a real life person living in a society like ours. It’s not possible to pinpoint and give an introduction. You’ll have to wait and watch the film,” she laughs. Manju has been in the industry since the ‘90s and has worked with several veteran filmmakers. What’s it like working with new age directors? “The most important things a director needs are conviction and clarity. Each person has their own style, and you cannot compare. It’s not fair to do so. They will have their own personal style and outlook, and we have to respect that,” she says. Manju explains that it’s usual for actors to take a few days on a new film set to become comfortable with the crew. For someone who calls herself a “director’s actor”, Manju says it was easy to work with Prithviraj because he knew just what he wanted her to deliver. 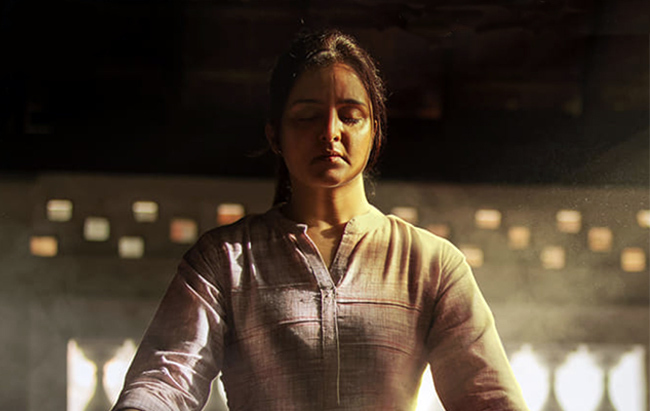 Manju took a break from cinema when she was at the peak of her career and made a return in 2014. Since then, she has mostly acted with Mohanlal or done films as the solo lead. Does she feel enough roles are not being written for a woman actor of her age and calibre? “I don’t think of it that way. I want to do good films and I think there’s time ahead for that. I try to do whatever comes my way in the best way I can. I have no complaints. Even in a big star like Lalettan’s (Mohanlal) films, I’ve been fortunate enough to play strong characters. In guest appearances, too, I’m called to do only strong roles. I’m happy to be in superstar films and still do films as the solo lead,” she says. However, Manju admits that she would like very much to be part of films where she can explore different combinations with actors and directors. “I really would love to do films that give me the opportunity to act in different combinations. For example, who wouldn’t want to be in a Priyadarshan-Mohanlal film? It has been such an iconic combination for years. I haven’t been able to act with Mammukka (Mammootty) and I’m really hoping and praying that I get an opportunity. We have so many brilliant actors – male and female – and I’d be excited to work with them all,” she says. Manju’s childhood days in Nagercoil ensured that the actor knows Tamil as well as she knows Malayalam, a fact that worked to her advantage in bagging Asuran, Vetrimaaran’s next with Dhanush. What about production then? Manju seems more positive about the idea. “That you never know. I don’t have such an idea right now, but yeah, you never know,” she laughs. Manju has had a successful career so far but there have been a couple of blips along the way. 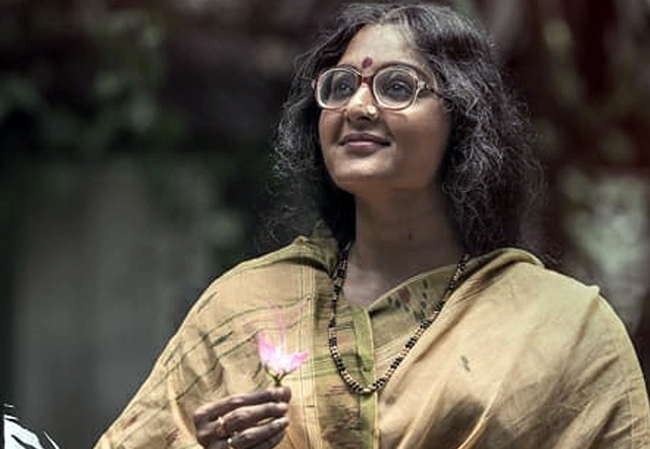 She was criticised for her portrayal of Kamala Das in Aami, while some of her films like Villain and Odiyan with Mohanlal opened to high expectations but were met with poor reviews. How does she handle failure? “I’m always open to constructive criticism. I don’t take too much success to my head and it’s the same with failure. I learn from the experience and try not to repeat the same mistakes. It doesn’t affect me much. If you’re convinced that you’ve worked sincerely, you can use your common sense to figure out if there’s any truth to the mistakes that people are pinpointing. Some of it will be constructive, some of it will be deliberate to hurt you. If I feel the criticism is valid, I will surely give value to it and pay attention,” she signs off.